Hynosis in Cleveland, Ohio - Change your mind, change your life! Are you looking for Hypnosis in Cleveland, Ohio area? Hypnosis for Weight Loss, Quit Smoking, Stress, Anxiety, Depression, etc. Hypnotherapy in Ohio -- Do you want to finally deal with your health & emotional issues quickly, powerfully, and effectively? Do you want to look better, feel better, be a better person? Work more efficiently and effectively? Be more successful and content in relationships or your marriage? 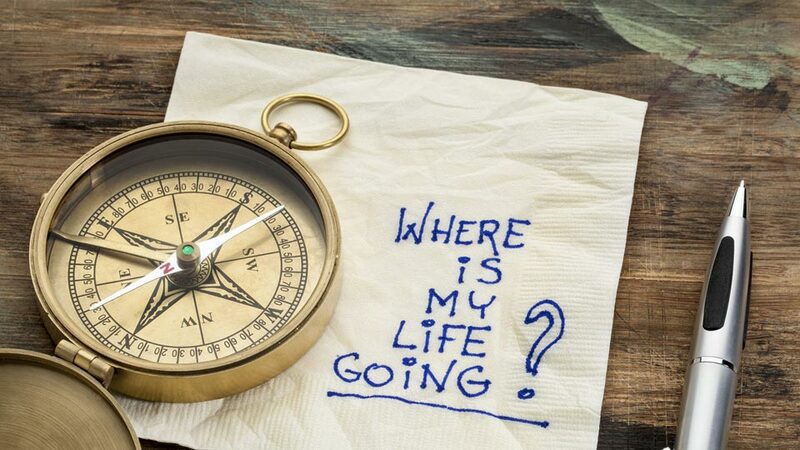 ACC Alpha Counseling Center® offers a wide variety of therapy and hypnosis techniques in Cleveland area to transform your life quickly, powerfully, effectively and safely. 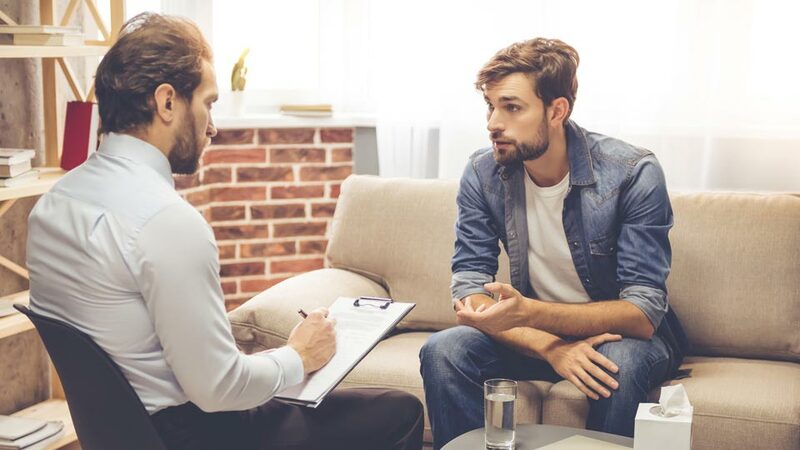 Therapy sessions are tailored to each individual client's situation and the techniques used depend on the problem being addressed. Our Cleveland area hypnosis related services can address a wide variety of needs including issues relating to individuals, couples, marriage, family, pre-marriage, divorce, cancer, career, sports, health issues, mental health, smoking, weight, depression, anxiety, addictions, stress, sleep, fears, and much more. Why struggle with personal, work or other problems when we can provide the solution and answer for which you have been searching. One technique that has proven very effective for a wide variety of problems is clinical hypnosis. Our Cleveland area clinical hypnosis can access your subconscious mind and change and transform your life quickly, powerfully, effectively and safely. Most problems can be solved in one session. For many people, clinical hypnosis can be the answer they have been seeking. 10% of our mind is used at the conscious level, the other 90% at the unconscious level. The unconscious mind controls most of what we do and the best way to access the unconscious mind is through clinical hypnosis. Remember that the mind can make the body sick and the body can make the mind sick. 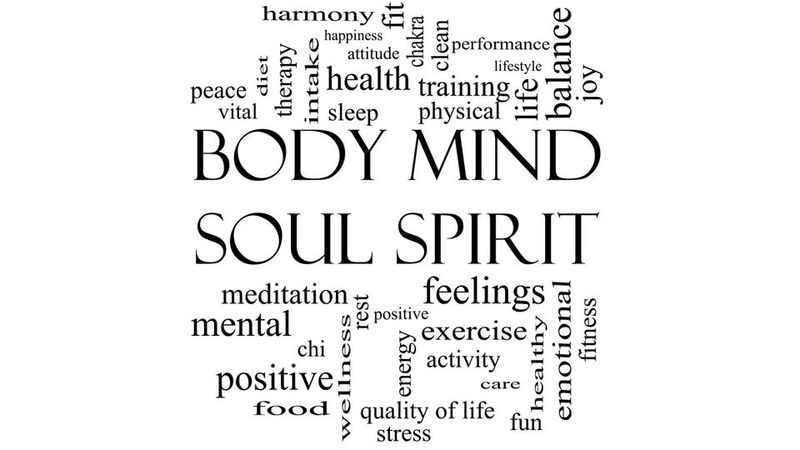 In clinical hypnosis we are dealing with and accessing that important and powerful mind/body connection. Everyone can be hypnotized and you owe it to yourself to experience clinical hypnosis to change your life and keep the change. There aren't any issues physically, emotionally, socially, workwise, or spiritually that can't be helped, ameliorated, or "cured" with clinical hypnotherapy performed by a legitimate, educated, highly trained, experienced, and licensed practitioner. 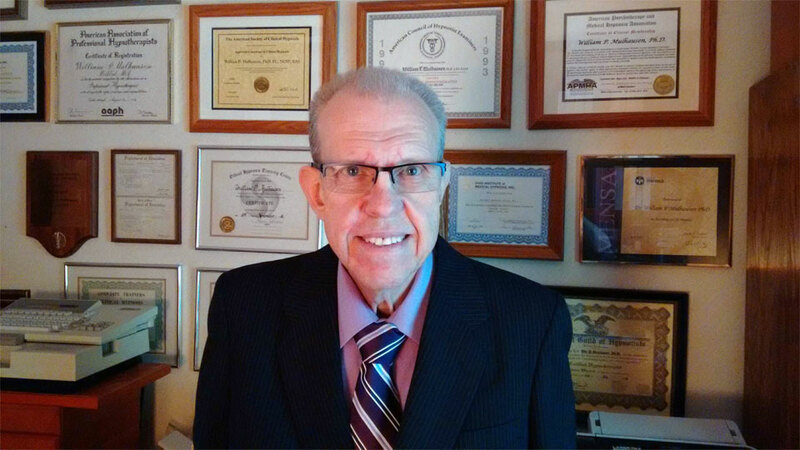 Dr. Mulhausen has spent 18 years in college, has 4 degrees, and the equivalent of a 5th in 3 different fields, holds multiple licenses, certifications, and professional designations, and has been doing hypnosis for over 37 years. Do you want to stop smoking? Hypnosis clients have been found to be twice as likely to stop smoking and remain smoke free after 2 years compared to people who have quit on their own. Hypnosis is more effective to help you stop smoking than drug intervention for smoking cessation. Statistically combining results of over 600 studies and 72,000 people from all over America and Europe, hypnosis to quit smoking was over 3 times as effective as nicotine replacement methods and 15 times more effective, and safer, than trying to quit alone (New Scientist, October 10, 1992). Hypnosis has been proven to be 3 times more effective to quit smoking as the patch and 15 times more effective than willpower (Journal of Applied Psychology, How 1 in 5 give up smoking, Oct., 1992). Those clients utilizing hypnotherapy for smoking cessation at ACC Alpha Counseling Center have experienced a 90% success rate with only one session risk free. Patches, lozenges, gum, and physician prescribed medications have a poor success rate (approximately 5-7%) with significant negative side effects, and high cost. In a study of weight loss for 60 females, at least 20% overweight, hypnosis for weight loss was more effective than a control group: an average of 17 lbs. lost by the group using hypnosis for weight loss vs., an average of 0.5 lbs. lost by control group (hypnosis over 30 times as effective for weight loss). Cochrane Gordon, Fresen J (1986). Hypnotherapy in weight loss treatment, Journal of Consulting & Clinical Psychology, 54, 489 – 492. Hypnosis can more than double the effects of traditional weight loss approaches (University of Connecticut, Journal of Consulting & Clinical Science, 2012, Vol. 64, No. 3, pp. 517 – 519). Hypnosis clients, studies show, lost more weight than 90% of those not receiving hypnosis for weight loss & maintained the weight loss 2 years after treatment ended. Hypnosis for weight loss, more than doubled average weight loss. Hypnotherapy is more complex for the weight loss client than the smoker, for example because the smoker, in hypnosis, can be told that he or she will never smoke again but the weight loss client cannot, obviously, be told that they will never eat again (elimination vs. modification). The crux of the problem with weight loss clients is that they are making themselves feel good emotionally, just like the smoker, alcoholic, and the drug addict, with the use of food to deal with emotional issues such as anxiety, depression, stress, sexual abuse, worry, fear, lack of love (physically or spiritually), loneliness, anger, etc. Hypnosis reduces frequency and intensity of headaches and migraines, reduces pain and speeds recovery from surgery, reduces acute and chronic pain, burn pain, phantom limb pain, etc. Hypnosis pain management patients healed 41% faster from fractures. The best treatment for pain is clinical hypnosis. Clinical hypnosis is more effective for pain than many of the popular, over the counter, pain relievers. The outstanding feature of clinical hypnosis vs. medications is that clinical hypnosis is completely safe and risk free. There is no medication on the market today that doesn't have side effects (many serious, long lasting, and even fatal). lifetime not knowing about clinical hypnosis as a powerful, quick, and effective alternative for relief. An important thing to remember is that there is no pain until it reaches the brain. Change the mind, change the brain, change the pain. Clinical hypnotherapy is effective for all sorts of pain including back pain. About 65 million Americans suffer from back pain. Back pain is the second most common reason for medical visits. Back injuries are considered the nation's #1 workplace safety problem. Back pain is expensive to diagnose and treat with over $6.5 Billion dollars spent annually. There are many types of anxiety disorders such as generalized anxiety disorder, obsessive compulsive disorder (O.C.D. ), phobias/fears, panic attacks, social anxiety, and post-traumatic stress disorder (P.T.S.D.). Anxiety affects your brain and your body: cognition, heart, metabolism, skin, emotion, breathing, digestion, immune system and pain. Hypnosis and hypnotherapy are useful to reduce or eliminate, anxiety before medical procedures such as an M.R.I. or surgery for example. Anxiety disorders are the most common mental illnesses in the U. S. (Time Magazine, 12/5/11) affecting approximately 18% of the U.S. adult population. Women are 60% more likely than men to experience an anxiety disorder over their lifetime. Hypnosis can be used to treat anxiety. The British Psychological society has now officially declared hypnosis as a proven therapeutic medium to curb anxiety, stress, migraines, insomnia, pain, and irritable bowel syndrome (IBS). Hypnotherapy can be instrumental in reducing the severity of anxiety attacks or alleviating them altogether. It can do this by giving back control over the situation to the sufferer. Control has been shown to be a key component in reducing anxiety. Clinical hypnotherapy can be an effective addition, or alternative, to medications for depression. Interestingly, 75% of people treated for depression were on medication compared to 43% of people who were in psychotherapy. Also interesting, 83% of drug prescriptions for anxiety and depression come from primary care physicians and not psychiatrists. 7 million people, over the age of 65, experience symptoms of depression. Hypnosis is a great way to induce relaxation, especially for those who have difficulty trying to practice relaxation therapy techniques or progressive relaxation techniques. Hypnosis to treat insomnia is a safe, quick, and effective technique for any and all sleep problems. Treating insomnia using hypnosis is safer and better than using sleep medication or aids. Remember you can lessen or eliminate insomnia with hypnosis without any side effects like drowsiness, difficulty focusing or concentrating, etc. Lack of sleep can cause weight gain, hypertension (high blood pressure), accidents, and even trouble in marriages. 60 million Americans have sleep issues (falling or staying asleep). 164 million people have trouble sleeping. 80% of people stumble around sleep deprived. Sleep deprivation can cause: suppression of the immune system, increased irritability, difficulty concentrating, impaired memory, early signs of diabetes, slurred speech, lower tolerance for stress, impaired coping abilities, slower reaction time, impaired decision-making ability, stress, mental health problems, job performance issues, impaired home life, reduced motivation, reduced vitality, serious illness, and even death. 49% of Americans surveyed said that STRESS and WORRY kept them up at night (with money, job loss, and, yes, LACK OF SLEEP among the top concerns). 37% of Americans feel they did not get enough sleep giving them among the highest rates of sleep deprivation in the world (only France at 45% and Taiwan at 50% are higher). Sleep is sacrificed to meet the demands of our "endless days". There are more than 80 types of recognized sleep disorders including: sleep apnea, narcolepsy (daytime "sleep attacks"), insomnia, sleepwalking, and "restless leg syndrome". Healthy sleep has been empirically proven to be the SINGLE most important determinant in predicting longevity, more influential than diet, exercise, or heredity. ("The Promise of Sleep", William C. Dement M.D., Ph.D. Unsafe and dangerous medical treatments of Michael Jackson's sleep problems cost the "King of Pop" his life at only age 50. Hypnosis can help you with your stress. Hypnosis can prevent the immune system from weakening due to stress. Hypnosis increases positive thinking through suggestion while using relaxation techniques to decrease stress (Holland). Stress is a major problem which takes a tremendous toll physically, emotionally, and even spiritually. It is related to every emotional and physical disease in some way. Hypnosis has been shown to reduce the symptoms of P.T.S.D. Clients who used hypnosis reported fewer re-experiencing episodes, improvement in well-being, better control of symptoms, and minimization of recurring thoughts associated with the traumatic event. Clinical hypnotherapy is an effective way to treat P.T.S.D. in returning war veterans. Combat troops may all experience the horrors of war but only about 15% go on to develop P.T.S.D. Clinical hypnotherapy is also an effective approach to dealing with any traumatic event such as a car accident; sexual or physical abuse; serious, chronic, or terminal illness; robbery or shooting incident; divorce; near death experience; etc. Hypnosis gives a person a boost in confidence and has lasting effects helping to improve confidence long in the future. Self-confidence is one of two underlying themes (stress being the other) that must be addressed with every client who comes for hypnotherapy. Clients, in general, don't believe that they can "climb that mountain", reach that goal, be successful in reducing or eliminating their problem, or that the solution lies within them. Emerson, the great poet put it best: "What you believe you will achieve." If you believe it you can you will and, as Henry Ford once said, if you believe you can't you're right either way. Conceive, Believe, Achieve. The more you believe in hypnosis as a solution to your problem, the more you believe in your hypnotherapist, and most importantly, THE MORE YOU BELIEVE IN YOURSELF, the better your results will be. It is estimated that 90% of adults have a fear that interferes in their life in some way. Hypnotherapy works by targeting negative thoughts and emotions in relation to a fear thus eliminating the fear, real or imagined, quickly. 19.2 million American adults, or about 8.7% of the adult population, suffer with "specific phobias" 9National Institute of Mental Health). Hypnotherapy can help you trace fear, erase fear, and "grace" fear. There are 5 basic core fears: fear of abandonment/isolation, fear of losing control, fear of confinement/being trapped, fear of death/injury, and fear of rejection/embarrassment. The #1 fear of the public is public speaking (death is #7) and the #1 health fear is cancer. The fear of flying is another common fear that can be helped by hypnosis. It is interesting to note that the chance of being on an ill-fated flight is 1 in 16 million. Hypnosis is often used to change, or eliminate negative memory associations (e.g., forgetting an ex-spouse or lover). New scientific evidence shows your brain does NOT have to get older and fade away—it can get smarter, and more efficient no matter what your age However, research shows memory loss is much easier to slow down and prevent in the earliest stages. Age related cognitive decline is well underway in otherwise healthy people by age 50. More than 50 percent of Americans over age 65 are likely to experience impaired capacity to even recall simple names and numbers. A staggering 76 percent of Americans (starting as early as age 30) suffer from "senior moments", including memory lapses and decreased alertness. Impairment and deterioration of mental capacity is the 4th leading cause of death in those over 60. Clinical hypnosis can enhance memory and concentration, forgetting can be reduced, names and dates can be better remembered, learning can be enhanced, lost items can be found more easily, pass exams and courses more easily and with better grades and outcomes, etc. Hypnosis helps people with conversion disorder resolve emotional problems. Hypnosis can also be used to help diagnose conversion disorder (e.g., emotional signs of distress shown in physical signs). Hypnosis can lessen or eliminate anxiety, pain, bleeding, gagging, and bruxism (teeth grinding). Fear of dentists are among the relatively common fears seen by hypnotherapists, psychologists, counselors, and psychiatrists. Clinical hypnosis can reduce or eliminate the fear of dentists and/or dental procedures, lessen or eliminate pain or anxiety, achieve relaxation and positive mental attitudes, be used for dental anesthesia, and even motivate a client to seek needed dental treatment without any apprehension. Hypnosis can lessen anxiety, stress, pain, and injury. Hypnosis can also increase motivation, goal setting, performance, endurance, and assist an athlete achieving his or her personal best. Clinical hypnosis can assist the athlete in the important connection of the mind with the body. The majority of athletes makes the mistake of only getting coaching and practice with the physical aspects of their sport but never any coaching and practice for the mental aspects which is as important, if not more so". Arnold Palmer, the great golfer put it best: "Golf is 95% from the neck up". Also, Emmerson, the great poet, said: "the antecedent to every behavior is a thought". Every action of an athlete, in any and all sports, starts in the mind and not the body. Hypnosis can reduce the inflammation that leads to symptoms of ulcerative colitis. 60% of I.B.S. sufferers have a reported history of stress. By using hypnosis to reduce or eliminate stress, I.B.S. can therefore lessen and even disappear (61% improvement). Clinical hypnosis is helpful for clients undergoing surgery to lessen, or eliminate anxiety or fear, reduce bleeding and complications, lessen or eliminate nausea or vomiting, speed healing, etc. Clinical hypnotherapy can effectively be used for a variety of medical problems such as eczema, hay fever, allergies, asthma, high blood pressure, headaches including migraines, infertility, multiple sclerosis, pain, digestive problems, fractures, sexual problems, cancer, etc. (there in no medical problem or condition that can't be helped, ameliorated, or "cured" with clinical hypnosis. Hypnosis is a beautiful and effective technique in the hands of a trained, experienced, knowledgeable, and licensed professional. Hypnotherapy, unfortunately, is used by less than 10% of people in the United States. Students who utilized hypnosis reported a significant reduction in test anxiety and also improvement in academic achievement. Academically speaking, clinical hypnosis is helpful to enhance learning and memory, increase study skills, lessen or eliminate test anxiety, increase test taking skills and outcomes, eliminate or lessen school phobia, etc. Studies show significantly more methadone addicts quit with hypnosis (94% remained narcotic free). Hypnosis shows 77% success rate for drug addiction intensive therapy. Hypnosis is proven to raise self-esteem and serenity while lowering impulsivity and anger. In one study, hypnosis for breast cancer patients (before surgery) reduced pain nausea, fatigue, discomfort, emotional upset, and the cost of the procedure. Hypnosis, for cancer patients can aid the healing process, reduce drug use, shorten anxiety, shorten hospital time, and could help cancer patients avoid cancer recurrence and spread of cancer (metastasis). Hypnosis has been found to significantly alleviate preoperative anxiety, lessen bleeding and complications, speed healing, boost the immune system, and lessen the side effects of chemotherapy and/or radiation. Women who utilized hypnosis before childbirth had shorter labor, less pain and drugs, less complications, less anesthesia, and more comfortable deliveries. Hypnosis reduces pain, bleeding, increases patient comfort, lessens anxiety and speeds recovery. Clinical hypnosis can be used for both pre and post-surgery to ensure a better surgical outcome and faster and better healing. Call ACC Alpha Counseling Center and Dr. Mulhausen at 440.899.1680. Our Cleveland Hypnosis, hypnotist and hypnotherapy center is located conveniently in Westlake. Dr. Mulhausen serves the Northeastern Ohio region and the communities of Avon, Avon Lake, Bay Village, Berea, Brecksville, Broadview Heights, Brunswick, Chagrin Falls, Fairview Park, Hudson, Independence, Medina, Middleburg Heights, North Olmsted, North Ridgeville, North Royalton, Parma, Rocky River, Solon, Strongsville, Wadsworth, Westlake, Wooster and many other communities throughout Ohio and all across the country.